I have been working on Adie's Christmas List and couldn't help myself! 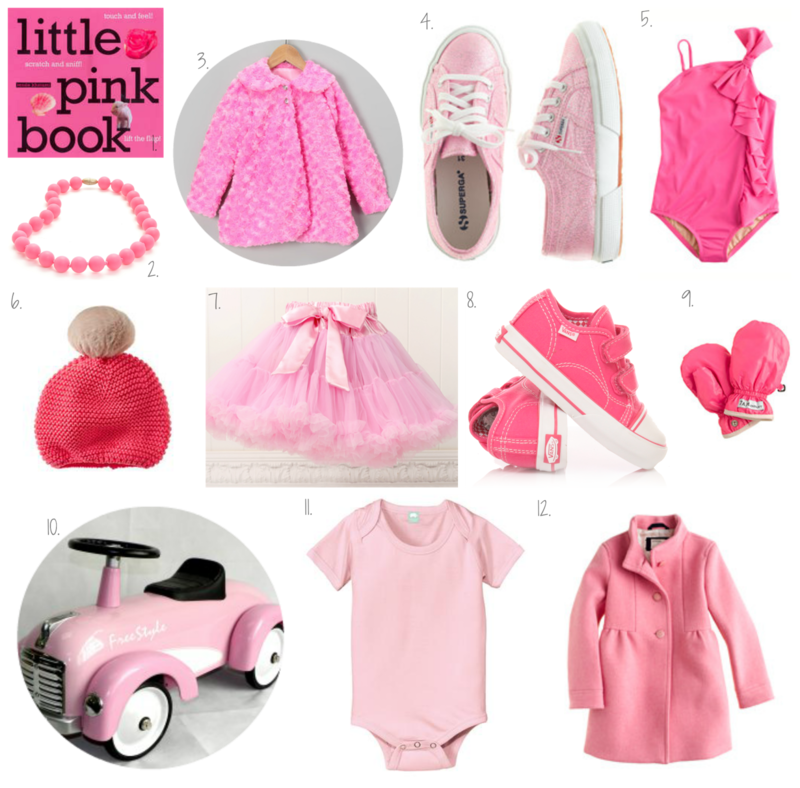 So this post is all about PINK! Our my favorite color. This seriously gets me excited even more so that I have a little daughter! I am literally dying over each one of these pink must haves! Not to mention a little sparkle in number four that I cannot resist! So here's a little pink that we're currently dying over. 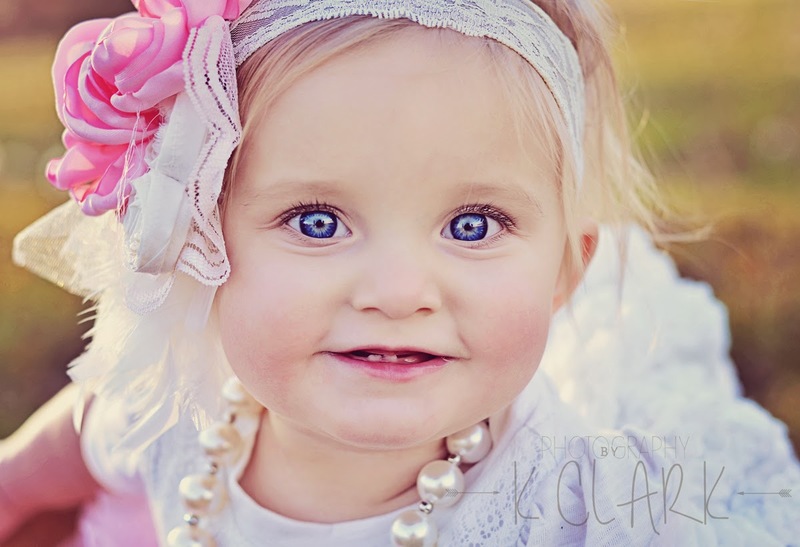 I made this headband for this beautiful birthday girl (thanks Brandi for letting me share pretties for the big day) and of course it's PINK! She is too cute for words and those blue eyes! I bet she's popular with all the boys on the playground! ;) LOVE IT! Now you know why we can't get enough of PINK! Today has been a lazy day and really haven't done much besides stay in our pajamas all day! The light drizzle of snow makes this happen! I worked on Adie's stinking cute Advent Calendar and am half way done and can't wait to show you guys! Adie is obsessed (obsessed is a total understatement) with balloons so we had to pick this one up when she went crazy at the grocery store! And how can you pass up on Barbie!